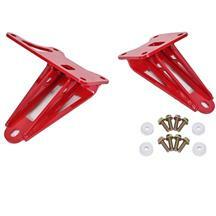 Replace your worn, torn, or broken 2015-2019 Mustang motor mounts with urethane mounts from Late Model Restoration. Worn out motor mounts can cause vibrations, jerking, and driveline flex which doesn't allow you to put all of your power to the ground. Over time the factory hydra bushings can start to sag or wear out. 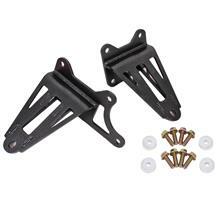 We're proud to offer upgraded motor mounts from Steeda. These S550 engine mounts are adjustable so that you can lower the engine to gain clearance for a supercharger or a strut tower brace. 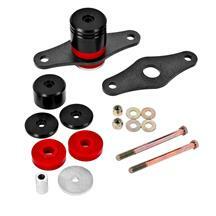 We have 2015-2019 Mustang engine mounts for both the GT and the new Ecoboost 2.3 turbo motor. 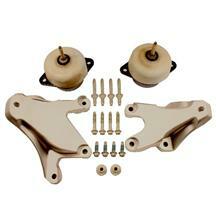 Shop these high quality parts and more at Late Model Restoration.com!